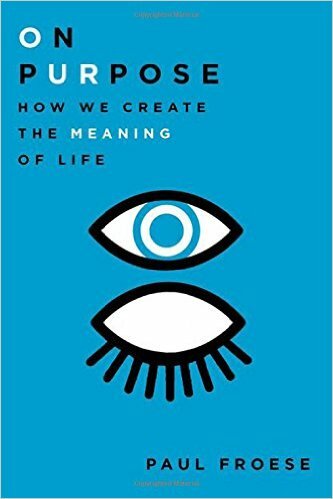 Religion Watch recently interviewed ISR fellow and Baylor University sociologist Paul Froese about his new book, On Purpose: How We Create the Meaning of Life (Oxford University Press, $27.95). RW: You have previously studied and written about religious repression in Russia and people’s images of God. Was it a challenge to write on such a vast subject as life’s meaning and purpose, especially for a sociologist? Froese: Writing a book on purpose was the hardest thing I have ever done because the breadth of the topic is infinite. That said, approaching the topic as a sociologist provided ballast. While in the weeds of endless philosophical complexity, I was always led back to the foundation of community and social context in determining each individual’s system of values and meaning. Each chapter delves into a different layer of meaning and begins with a question for the reader—it is intended to set the stage for the discussion that follows. They are 1) our shared assumptions about purpose, 2) the possibility of meaninglessness, 3) the ways in which people discover themselves, 4) the moral certitude some people feel, 5) the effects of social time, and 6) the limits of power in deciding our purposes. RW: Early on in the book, you discuss findings showing that secular countries have a lower rate of people claiming that life is meaningful but that such a deficit is distributed more toward the deprived in these societies. Can you explain that? Froese: Although religion is undeniably the source of meaning and purpose for most people in the world, it is not secularism per se which robs people of a sense of purpose. Rather it is the fact that modernity produced a plurality of existential choices, one of which is the possibility that everything is meaningless. This possibility looms most precariously for those who live in isolation within wealthier countries, which tend to be more secular. People in poverty within less modernized countries may live lives of untold desperation, but they are more likely to persist within a larger religious culture imbued with meaning. They may not be happy, but they feel purposeful. In contrast, the disadvantaged within wealthy countries suffer from not only relative deprivation but also existential deprivation. They persist within cultures that provide little meaning to those who are not successful; they feel left behind and useless within societies which derive their meaning from economic success and technological progress. Catholicism’s quiet renewal in the UK? Why are Pentecostal Churches growing (in Sydney)? Islamic humanitarian NGOs complementing Turkish foreign policy?